Nonhardening modeling clay is nontoxic, soft and very pliable so it is easy for small hands to use. Ideal for classroom use. Colors can be blended to create new colors. Assortment includes 1 lb. 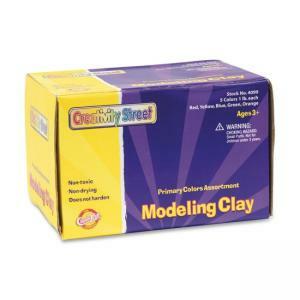 each of red, yellow, blue, green, and orange modeling clay.